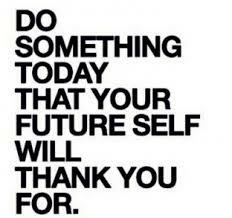 Hey peeps, a beautiful Tuesday morning to you. I am a typical Yoruba girl serving in the South -South region of Nigeria and one of their delicacies here is Banga soup, in short anything Banga; they have Banga rice, Banga beans and they may soon come up with Banga yam 😀. 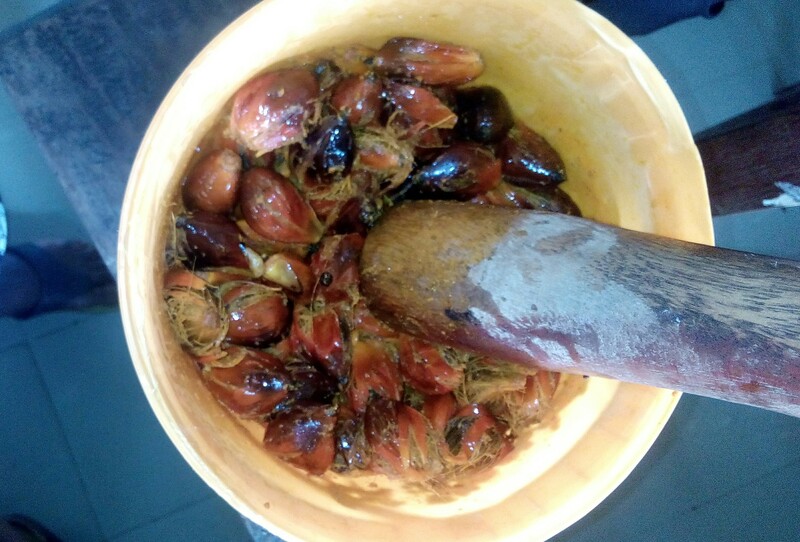 For those of you who don’t know, Banga soup is a soup made from palm fruit extract; it is different from palm oil ‘cos palm oil is gotten at a very high temperature while Banga soup is made at lower temperatures. 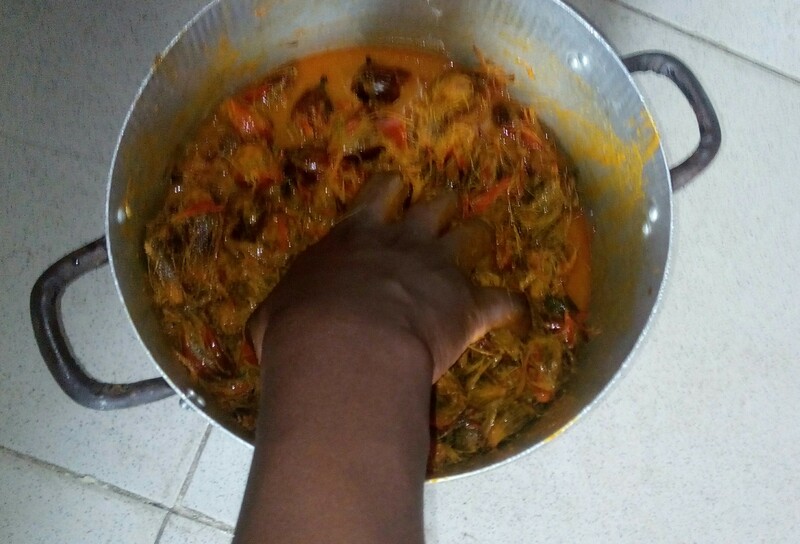 I first got to know about Banga soup when I stayed with a Deltan family in Lagos, but when I got to orientation camp, I came across a watery excuse for the soup. You see, they’ll serve us rice with one watery thing called Banga soup and if you hadn’t known about the soup before, you’ll develop an instant dislike for it. 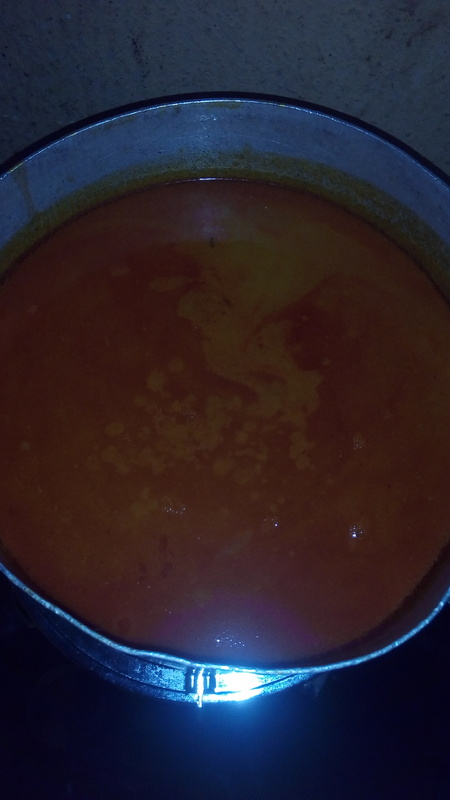 So recently, I decided to prepare Banga soup on my own. I have seen people cook it, but I hadn’t tried it before. I’ll give a detailed explanation of the process, especially for my readers that may want to try to cook it. 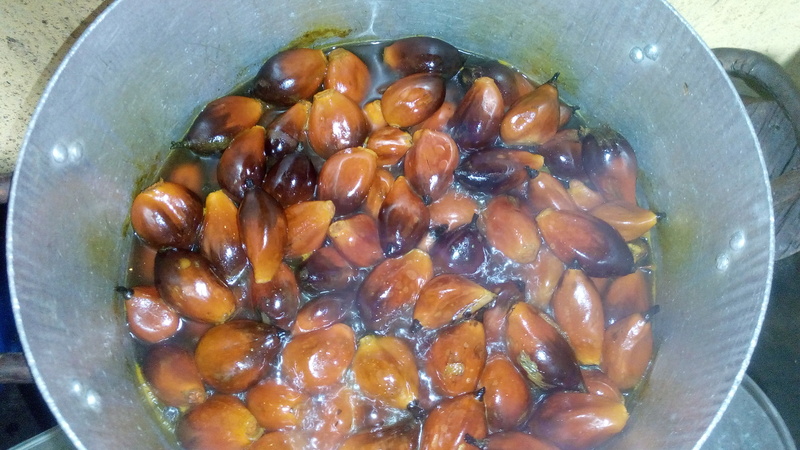 The major work to be done is extracting the juice from the palm fruits (mhen, this can be tasking) . Getting the Palm Fruit Extracts. 5. Sieve out the juice into a clean pot and repeat 4. If this is successfully done, then you’ve gotten your palm fruit extracts or Banga juice (I just formed this name o) . Right now, you’ll have a pot of Banga juice with lots of water. N.B : I’m assuming you’d have boiled your meat by now. 1. Set the pot on your cooking stove or gas and leave to boil. N.B : this might take a while, just leave it till you notice that the soup has thickened considerably. 2. Throw in your fish, meat or chicken or…..
4. Add your scent leaf. This gives it a unique taste, but if you can’t get it, you can use bitter leaf or pumpkin leaves. Viola, your soup is ready. 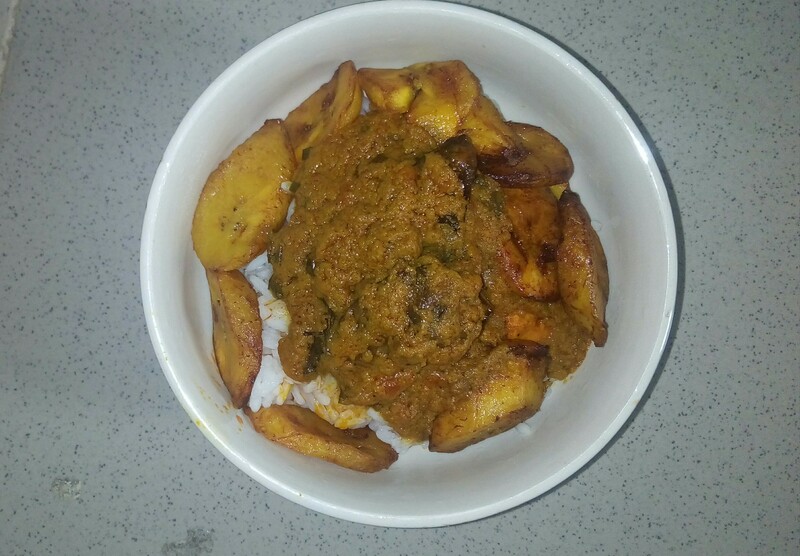 You can use the soup to eat rice, garri (eba ), semo, etc. Ngwanu, my people from the South -South and the East too, how did I do? I got it right, yeah? My people from the SouthWest and the North, oya, go and try out this delicacy and lemme know what you think. 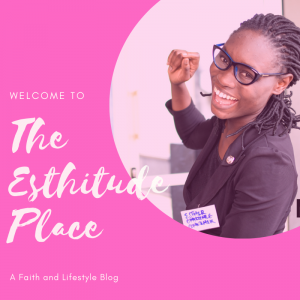 In other news, 31 Days of Value with Esthitude is still on, click here for more details. Amazing. I’m here trying to hold my hunger this early morning and you came to tempt me. You did a nice job dear. I would definitely try it soon. Awwwnnnnn, so sorry dear, no vex. Thanks for reading through and sharing your thoughts and yeah, you should try it soon.